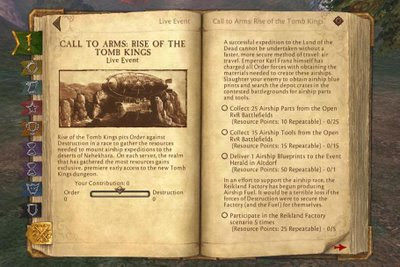 The Live Event, Rise of the Tomb Kings, has started! 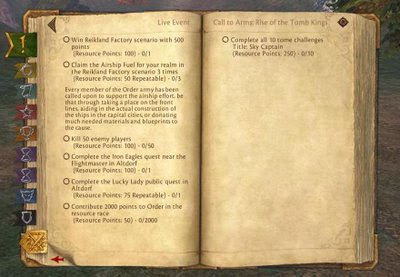 Here is the full task list for the event. Completing the tasks contributes toward your realms total score. A good bit of them are RvR too, so it should make for some interesting times. I am freaking out - 3.5 more hours of work!!!! Gahhhhh!